The Sony VAIO T is Sony’s first ultrabook weighing just 1.6kg for the 13-inch version (SVT13115FGS). Thanks to the lightweight design, I find it a breeze to lug it around throughout my 2 week review. Main activities: Internet browsing, word processing, movie watching, music listening. 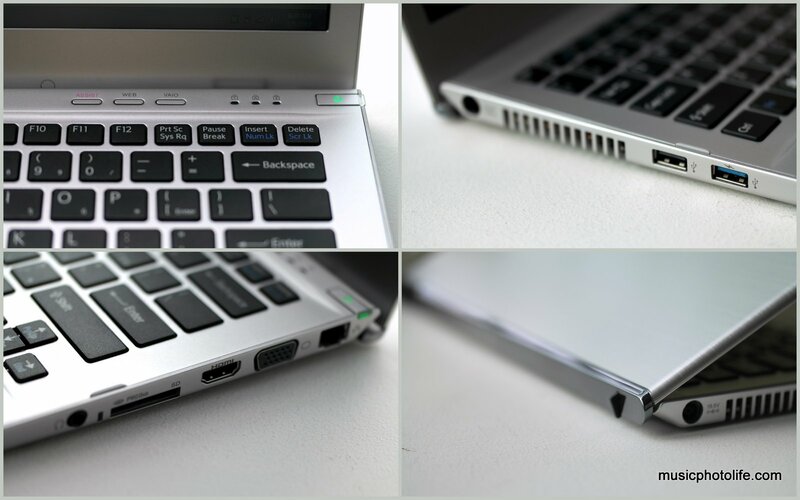 A wide variety of connectivity options such as VGA, LAN, USB 3.0, USB 2.0, HDMI, SD, MS-Pro ports. No need for any adapters. Its “Rapid Wake + Eco” function that allows it to resume from sleep mode in about two seconds. Seems to be working rather well: I am able to leave it in the sleep mode for extended number of days. A hybrid HDD and SDD drive that allows for faster startup and data retrieval. Case in point: laptop starts up within 30 seconds. Gesture Control, great when you want to control the VAIO from a distance. I didn’t do any scientific measurement, but most ultraportables come with some battery management programs to let you maximise your battery life. Let’s just say that I never felt threatened about battery life when I use it on the go. 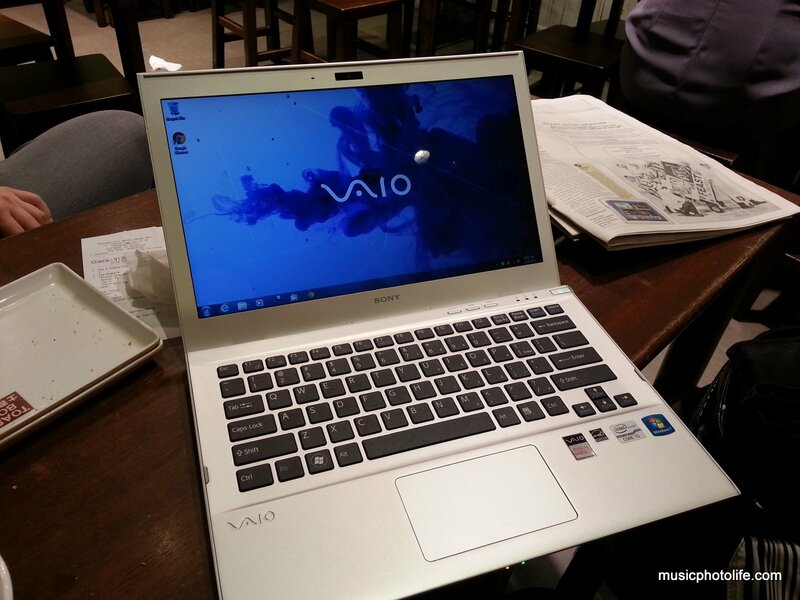 Independent review sites found that the VAIO T can last more than 5 hours. Good weight balance. The top LCD panel was light and even when I tilted the laptop to its maximum angle, the laptop could never be toppled over. Good keyboard response, but felt the keys are too spaced out. No fault of Sony, as I personally prefer the non-chiclet conventional desktop keyboard. Good trackpad response. One of the better ones I’ve experienced, though at times still not as responsive as Apple Macbooks. The VAIO T is capable of pumping out loud and clear audio good for general listening. For better performance, it is always advisable to plug external speakers. The VAIO T is cool for low-intensive applications like web surfing. No issues even when watching videos. I never felt uncomfortable when using it on my lap. Several VAIO apps like VAIO Gate, VAIO Control Center, improves user experience. VAIO Gesture lets you control web page browsing and media browsing. It is designed with the assumption that you are more than a feet away from the laptop (instead of within arm’s reach). VAIO Gate is a launcher utility located at the top of the screen that helps you access your favourite apps. VAIO Care is a one-stop app to help you manage your VAIO laptop, including system information, troubleshooting, diagnostics, manual, restore and recovery. There are 3 buttons on top of the keyboard. Pressing “ASSIST” when laptop is off boots to a special rescue app in Windows to help you in Windows problem. Pressing “WEB” when laptop is off boots into Windows and opens the browser within 30 seconds. The “VAIO” button is a configurable shortcut key for use in Windows. The screen colour appears to be geared towards the blue tint. Skin colour appears cold. Contrast level is flat. You might need to run it through some calibration tools if you want to use this laptop for colour-accurate work. Comparing VAIO T screen with my Philips 24-inch LCD monitor. I like the VAIO T for its lightweight, its rugged aluminium body, its fast startup, its ease of going into sleep mode when I close the lid, its ability to wake up within 5 seconds, its ability to keep cool, its responsive trackpad. The unique angular corners allows me to open the lid easier, the included VGA port means I can easily plug to legacy projectors at office. The VAIO Gesture although only supports a few gestures, does come in handy. I am not pleased with the LCD colour tone, and somewhat disappointed with the lack of backlit keyboard keys. The glossy LCD glass is a subjective issue, and personally I dislike that. Great for multimedia, but awful for reading. This is my first time reviewing a Sony laptop, and I must say I am pleased with the quality and the price. I don’t see the need for thinner laptop. 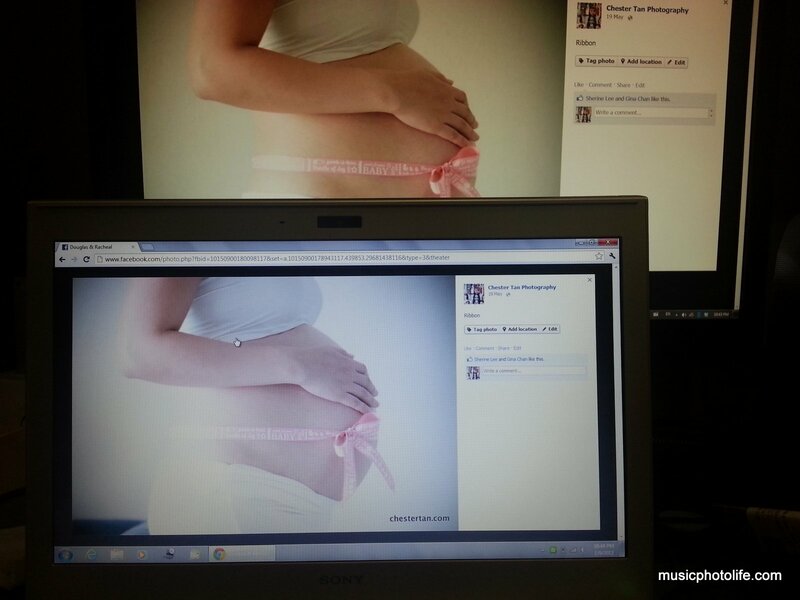 To me, weight is more important than size. The Sony VAIO T has a good balance of weight and durability, making it very usable and portable on the move. One can’t help but benchmark against Apple Macbook Air.